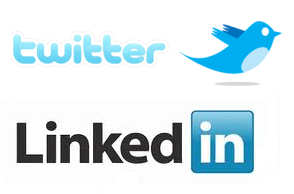 In Australia we have seen the rise of Twitter and LinkedIn as valuable social networking sites for business. Twitter and LinkedIn also have a special relationship which combines Tweets and LinkedIn Shares to power the LinkedIn Today news product. As Australian’s we have embraced both sites and today we have put together an infographic giving you some keys stats and comparison about these leading social networks. You are welcome to post this infograph on your website / blog if you link back to our homepage – https://www.socialmedianews.com.au , or this page.